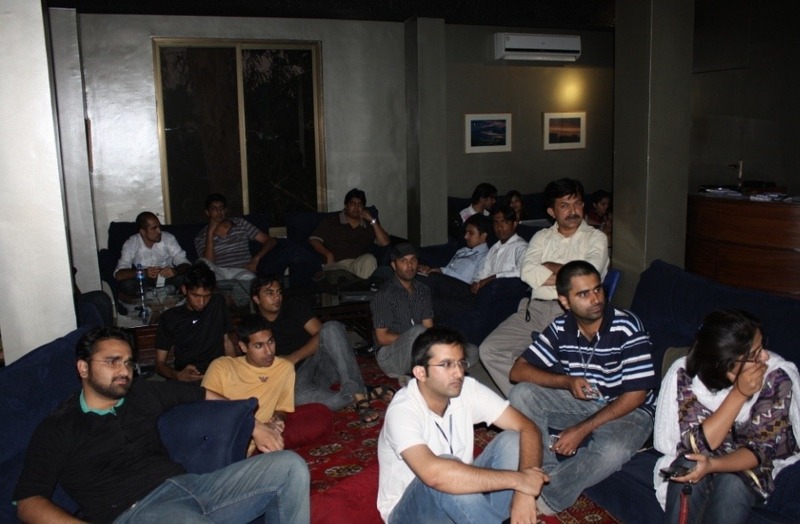 Social media activists from all across the city gathered in Café Eclipse, Islamabad to celebrate Social Media Day on 30th June 2011. The purpose was to unite a community of social media users to discuss its ever increasing role and importance, and to encourage positive contributions in this medium. The event started with a brief introduction of Social Media and the extent of its reach, followed by an interactive discussion on the myths of social media. The participants took turn in arguing whether a certain myth was true or untrue. Examples include discussion on social media as a free marketing tool, social media and its contribution in mental development, etc. Further pressing issues, like the role of social media in world politics, especially in bringing about a revolution in the African nations were discussed. 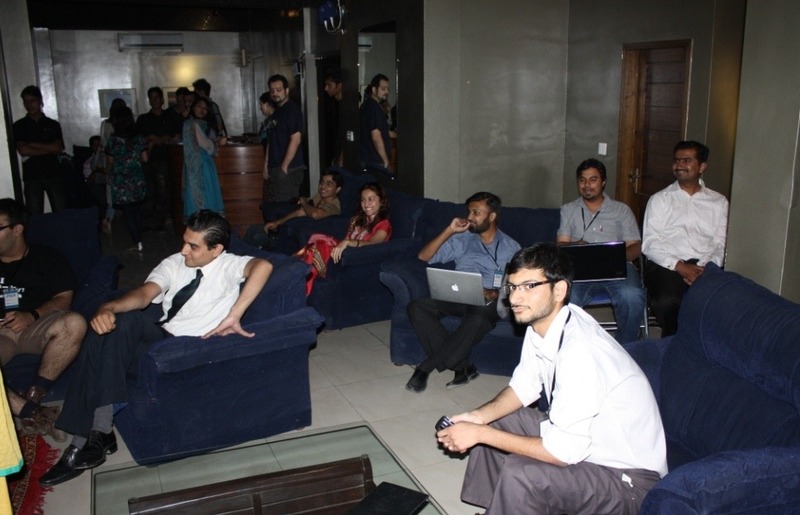 The participants were asked for their opinion on whether a similar situation in Pakistan could be possible. The audience responded with why they did or did not agree with that prognosis. “We can’t have a revolution in Pakistan as long as we sit in the comfort of our homes and disassociate ourselves with the events happening around us”, says a participant. The session was also punctuated with interactive activities like a scavenger hunt. The participants had to identify people with certain knowledge/experience on social media, and get their signatures. There was a lucky draw in which 3 winners were announced. Sponsored gifts, like Google t-shirts, key chains and diaries, movie tickets sponsored by Cinepax and chocolates by Askoli (an internet marketing firm) were distributed amongst the participants throughout the session. Live tweets and status updates were featured and displayed on a screen during the session. 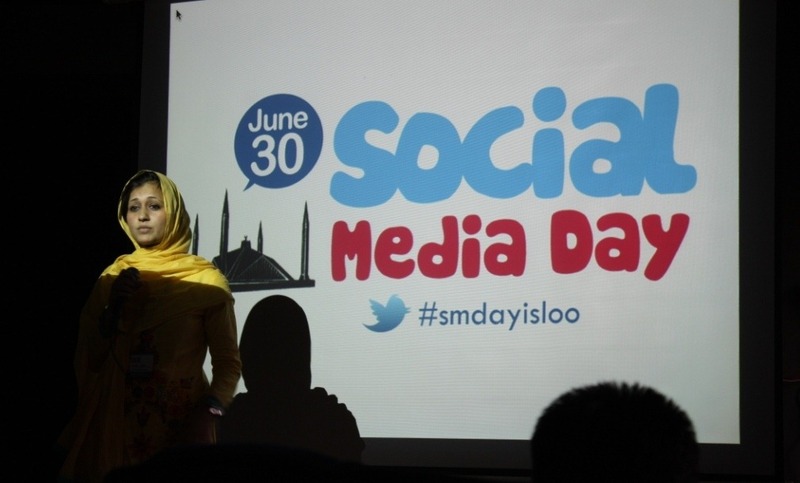 Social Media day was celebrated across the globe, with participants coming together to discuss the future of social media and how to use it for benefit. There were about 70 people attending the event. 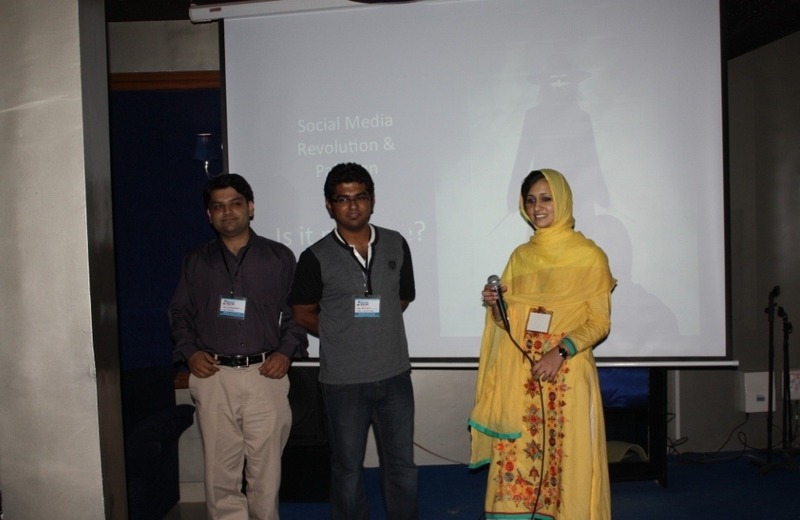 The event was organized by key people from the local social media industry, Madiha Hamid, from Askoli and Saad Hamid, from Bramerz. Currently I don’t see any change due to Social Media. If anybody has major example (maybe I won’t aware of), please share Social Media had changed anything in Pakistan? In the recent past, lots of developments are witnessed in social media, social networking and telecommunication in Pakistan, which has not only brought people together, but also helped in changing the mindset of the society at large. New horizons have been explored and idea had been shared to up bring creativity and innovation. Today Social Media websites like Facebook, Twitter and YouTube can help let people know the developments around, the acumen to carry out different responsibilities, and above all leading to social awareness. Today’s Pakistan is undergoing political turmoil, the burden of terrorism, the plight of falling economy, and the individual heading nowhere. By using Social Media constructively, not only we can develop awareness in people but also educate them to realize their responsibilities, mend their actions, and look towards a better Pakistan. Our mind set should focus on Pakistan – the long lived land attained in the name of Islam. Social media can enhance the learning in more interactive way rather than empty words without any action in them. Social media could address the social problems of Pakistan and could bring attention of the World in resolution. But the question is WHO WOULD BE THE FIRST DROP? Think Pakistan – Everything Everywhere is an idea based on Quaid’s words of Faith, Discipline and Unity. Today, in times of turmoil and troubles, we look for the foreign aid when we have everything everywhere. Why can’t we stand together, working objectively to make this country strong and independent? Social Media is the voice of new generation, the youth of Pakistan which can bring revolution in all walks of life. The revolution, which this country is waiting for long. Social Media channels are not only to share our personal “GUP SHUP”, but provide the platform to stand together for a uniform understanding and commonality towards a unified greater and stronger Pakistan. We can bring Quaid’s dream into reality by thinking Pakistan – Everything Everywhere. Not thinking and sharing about my life only but the lives of the whole Pakistan becoming the Voice which could challenge any foreign strike against our resources, culture and independence.